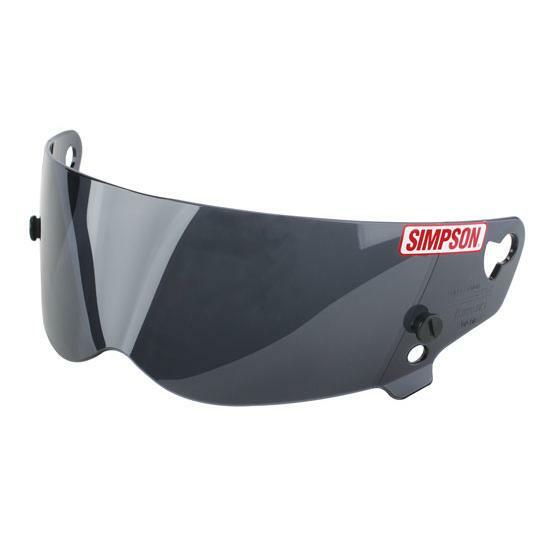 Simpson replacement helmet shield for SA05 Diamond Back, Mercury and Bandit FR helmets. Uses "E" style tearoffs. Fits SA10 applications for Bandit, Super Bandit, Carbon Bandit, Drag Bandit, and CH3NO2 helmets. NOTE: Fits Super Bandit helmets after July 93 production dates.